ATLANTA (August 15, 2016) – August marks the one-year anniversary since young sea lions, Jupiter and Neptune, arrived at Georgia Aquarium. Since their arrival, both pups have been thriving, learning new behaviors, playing, growing, and receiving the best nutritional and veterinary care. In March of 2015, an unusually large number of sea lion pups became stranded on California beaches. This event, known as an Unusual Mortality Event (UME), left over 3,000 sea lion pups malnourished, emaciated and underweight. It is believed that sea lion prey has moved farther offshore, causing nursing sea lion mothers to travel farther away in search of food, making it difficult to return back to their pups. This causes many pups to wean too early, making them incapable of foraging for food on their own, causing them to wash ashore due to starvation. Despite many attempts of rehabilitating and releasing certain sea lions, their continuing to come ashore in search for food deemed them non-releasable by the National Ocean and Atmospheric Administration (NOAA Fisheries). Once an animal has been deemed non-releasable, a home must be found in order to help care for the animal. 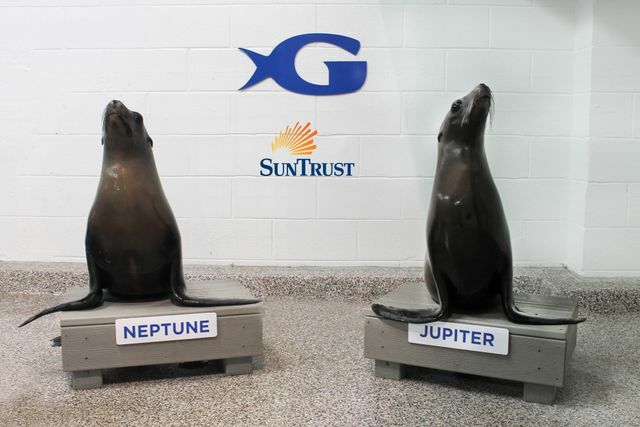 Not only do Jupiter and Neptune now have a forever home at Georgia Aquarium, but they also receive top of the line care from our team of trained veterinarians and animal care staff. The rescue of sea lions is important because they help Georgia Aquarium and the zoological community educate the public about these animals and the issues they face in the wild. Neptune, a 3-year-old male sea lion, was rescued three times by different marine mammal centers in California. He was found with fishing hooks in his flippers, and upon further examination, bullet fragments in his head were also discovered. Two-year-old male sea lion Jupiter was rescued twice, but was deemed non-releasable after he was observed approaching people and taking food, making him a public safety risk and the public a risk to his safety. After the pups arrived at Georgia Aquarium in Aug. 2015, they began working with animal trainers and veterinary staff to learn husbandry behaviors. These behaviors allow staff to observe them and give health assessments on a regular basis. Our animal care team builds and encourages relationships of trust with the young sea lions that not only helps to facilitate medically related behaviors, but that also challenges and stimulates the animals, allowing us to take great care of them. On Sept. 16, Georgia Aquarium will be highlighting the conservation and research efforts of California sea lions at our 11th annual Aqua Vino event. 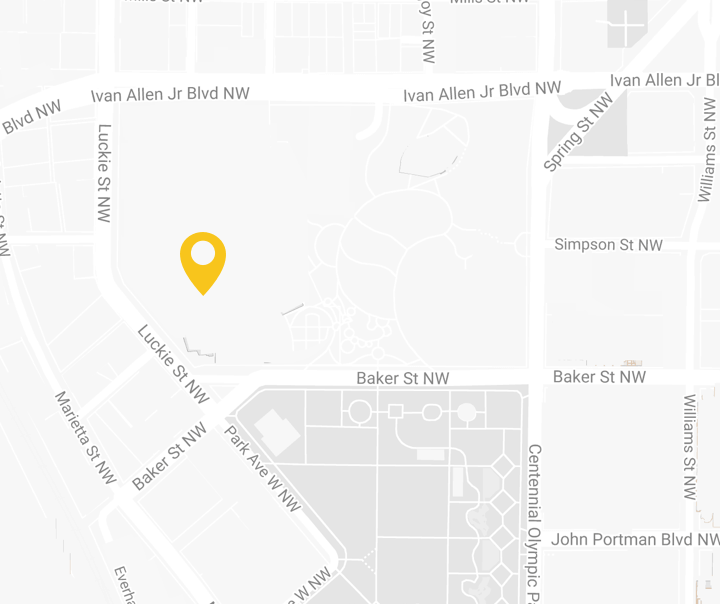 The premier wine and food fundraising event will celebrate sea lions and allow guests to see pups Jupiter and Neptune, along with many more sea lions, at the brand new SunTrust Pier 225. Join Georgia Aquarium the week of Aug. 15 to celebrate Jupiter and Neptune, as well as learn more about the research and conservation of California sea lions. Follow along on Facebook, Twitter, Instagram, and Georgia Aquarium’s blog for never before seen photos and information about our young sea lions. Please see here for more information about Georgia Aquarium’s visit to the Pacific Marine Mammal Center in 2016, and here to learn more about our visit to The Marine Mammal Center in 2015. California sea lions reside in the Eastern Pacific from Alaska to the southern tip of Mexico. They are found in near-shore waters, on the shores of islands, along the mainland, and manmade structures. The maximum weight for a male sea lion is more than 850 pounds, while a female’s maximum weight is more than 240 pounds. California sea lions are a member of the Otariidae family, meaning “eared seals,” and therefore have small, external ear flaps, also called “pinnae.” They and can be seen at Georgia Aquarium’s SunTrust Pier 225.